To be honest, when it comes to turnip, it took me a long time to become a ‘fan’. When I was a kid, one of my mother’s must-haves on the holiday table was mashed turnips and carrots. She said it was her favorite part of the meal and insisted they be the white-topped variety, known as the hardest, crispest, whitest and tastiest (in New England, they were easier to find than here in Florida). She’d boil the turnip and carrots together, then mash them with salt, pepper and butter. Along with my turkey, mashed potatoes, stuffing and peas, this was the side dish that infamously exuded an orange, watery mess onto my plate that I just could not tolerate and, invariably, it was the only thing left on my plate when dinner was finished. As I got older, I grew to appreciate the complexity of the turnip, but it has never really been a go-to when I think of side dishes. But I’ve recently been faced with a challenge, since my weekly share of vegetables from a local CSA farm has brought with it a multitude of turnips. Hakurei turnips, to be exact. These are no ordinary turnips. Nope, they’re a Japanese variety, and they’re beautiful. They’re creamy white and on the sweeter side, unlike some that have some bitterness or strong flavor to them. 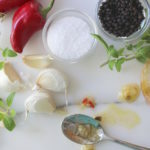 They don’t even require cooking because they’re so smooth and mild, and they pair well with a variety of foods, which is why they’re used a lot in pickling, tossed into salads or stir-fries, made into slaws or just eaten like apples. 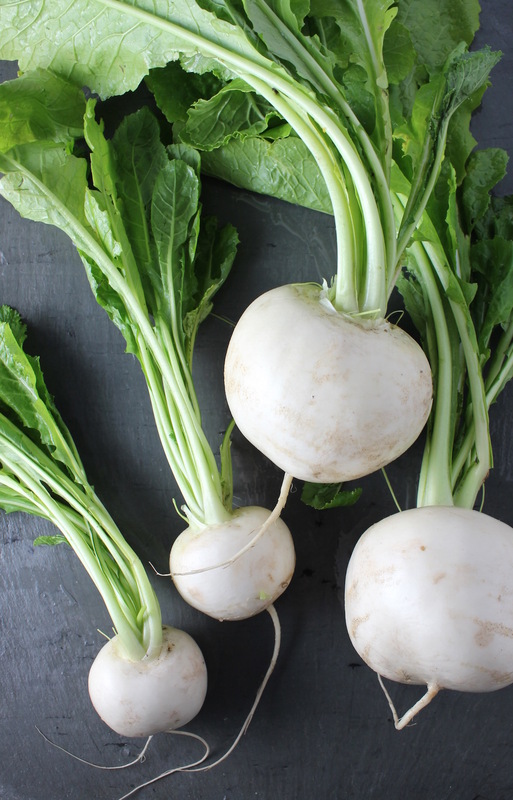 Turnip is high in Vitamin C and fiber, low in calories and considered a ‘good carbohydrate’. 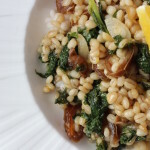 Turnip greens hold even more nutrition, so if you can include those in your menu, all the better (maybe I’ll have more ideas about that in a later post). Since my husband was looking for something to go with his morning eggs one day, I thought it might be fun to try Hakurei turnip in hash browns. Everyone likes hash browns, right?!? If nothing else, it would be a good way to use up some of the pile that was growing in my fridge. I paired the turnip with sweet potato (for texture) and apple (for a little sweetness in case the turnip got bitter), along with onion and a few flavor mix-ins. 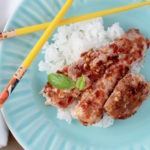 This is one of those dishes that you can experiment with to decide what works for you — you could just use turnip and leave out the potato altogether (to eliminate more starch), or exchange the sweet potato for a golden potato, or use scallions instead of onions, or toss in fresh herbs, etc. 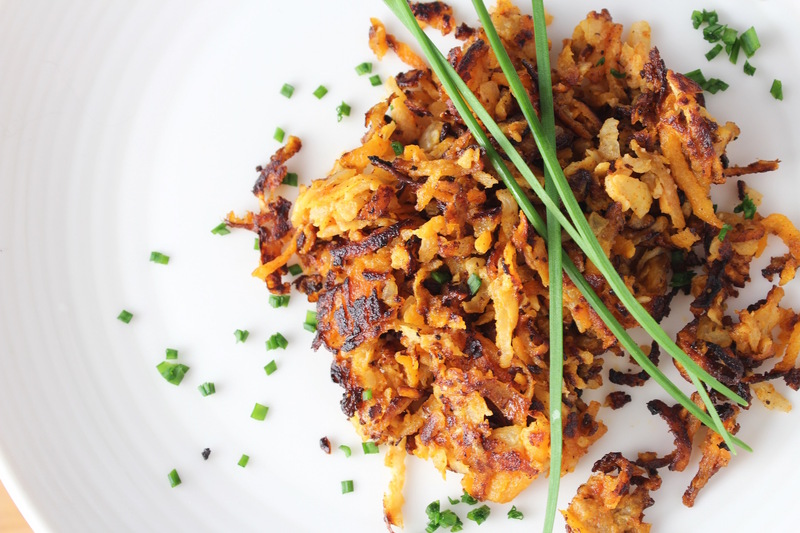 It’s an easy dish to prepare, aside from a little extra work of shredding the turnip and sweet potato (well, the food processor does all the work, actually), and it comes together quickly so, within a few minutes, you too can have hash browns! They were delicious – a little savory, a little sweet, a few soft bites, a few crunchy bites, and the combo of turnip/potato/apple was yummy — this combo is especially important if you don’t have access to Hakurei turnip and are using a regular variety found in supermarkets — I think you’ll find that the apple and potato make a nice complement to a stronger tasting turnip. I made two batches – one with a little flour, the other without. The one with flour came out like a crispy but tender pancake that we divvied up between the two of us (SO tasty). The second one came out softer so I just mixed it all up to get crispy areas all around, and served it in a mound (look at all those browned edges!) — also very delicious. You can’t go wrong either way. All in all, this is a fun and tasty way to incorporate more turnip into your diet. My mother would be happy about that. 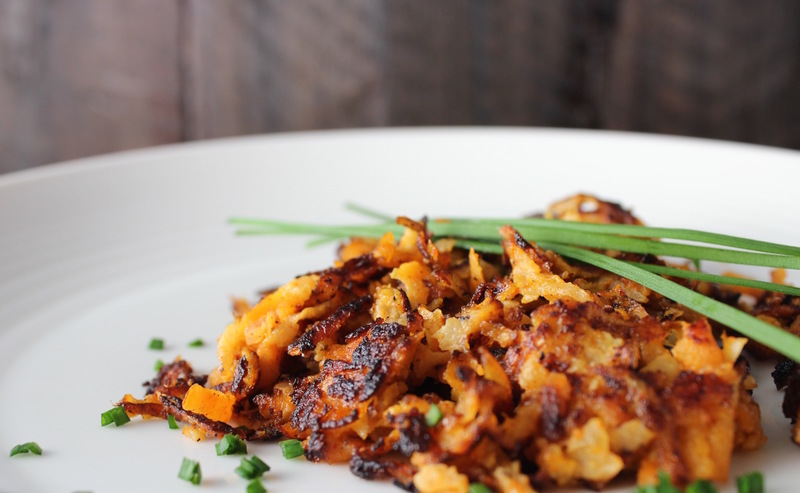 Combine turnips and sweet potato to make a tasty, crispy hash brown. In a small pan (or in the microwave), heat butter over low heat, then skim off milk solids into a separate bowl and discard. 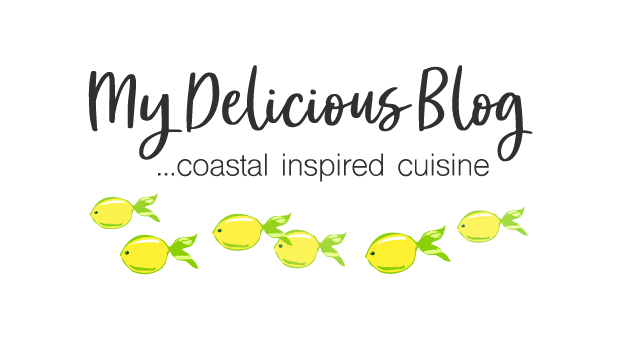 Set aside the clarified butter until ready to use. Peel and quarter the turnip. Using the shredding blade on your food processor, place the turnip into the feeding tube and shred each piece; transfer to a mixing bowl. Note: if not using Hakurei turnip, rinse the shredded pieces with water then gather them into a kitchen towel to wring out ALL the water before transferring to a mixing bowl. This helps to remove some of the strong flavor, especially if the turnip is large or older in the season. 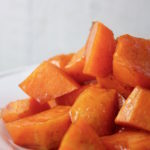 Shred the sweet potato then add to the mixing bowl along with onion, apple, egg, flour and seasonings; mix well. Pour 2 Tb. clarified butter into non-stick skillet. Heat to medium. When hot, pour ½ the turnip mixture into pan and spread into one thin layer; allow to cook for about 2 minutes so it browns well. 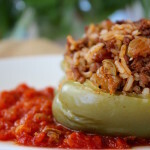 Reduce heat if it seems to be cooking too quickly. Check an edge to see the level of brownness underneath. When it looks brown to your liking, use a spatula to flip it. Add a little olive oil around the edges if it looks too dry. Cook/brown for another couple of minutes. Check to ensure it’s not burning, then remove and serve when edges are nicely browned and crispy. Serve with eggs, seared fish, sautéed veggies, or anything else you like. 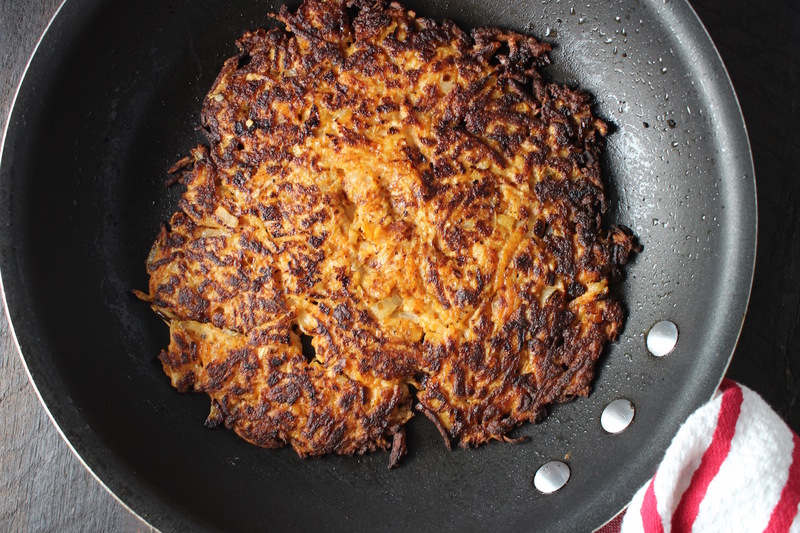 1) There are two secrets to good hash browns: dryness and patience. Be sure your turnip, potato and apple have no excess moisture, and once you put the mixture into the pan, let it sit and don’t fuss over it or you won’t get a crispy crust. 2) Best served immediately, otherwise the hash browns lose some of their crispiness. Well, well. I knew you’d come up with something better, and these turnip hash browns certainly fit the bill. Makes me happy. My husband absolutely loves turnips. I need to get my hands on the Hakurei variety and try this recipe. The turnip hash browns will make him very happy. Thank you for weaving us through the various flavors. I look forward to giving turnip hash browns a try. I have got to try this. Never tried this type of turnips. I hope you give it a try! A great way to cut down on carbs. Geraldson Farm carries them, and I think Worden Farm does as well (at the Sarasota Farmers Market). Good luck and let me know how they turn out! This looks soooo good, Nicole! I love all those crispy bits. I definitely want to eat more turnips.